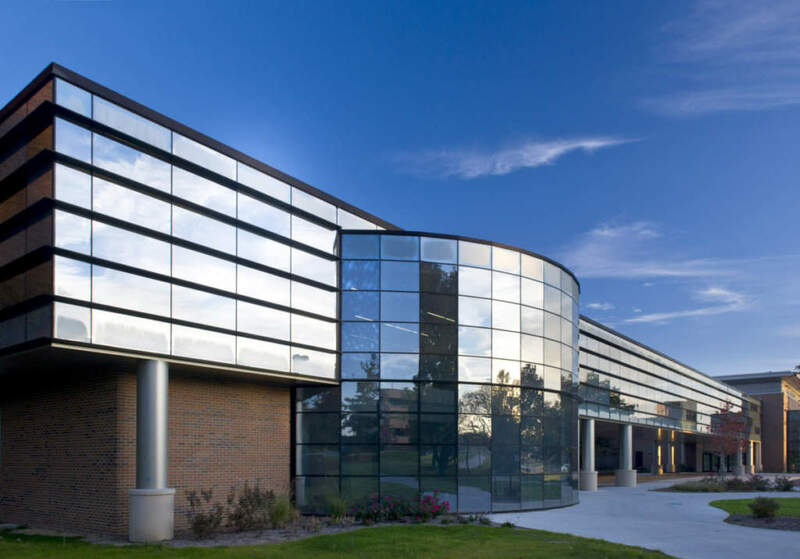 To bring its campus size in line with increased enrollment, and in anticipation of future growth, the campus of Purdue Fort Wayne, formerly known as IPFW, has required multiple expansion and remodeling projects. Weigand was chosen to construct the 42,000sf Medical Education Building to accommodate expanded research laboratories and classrooms. The new construction was completed in 2008. Through a total of 178,000sf of connecting corridors, remodeling, and new construction, the issues of space and student traffic flow were effectively addressed between the library, student union and sports center. Renovation of the Helmke Library, the only public university library in northeast Indiana, was completed in 2017 to bring refreshed lighting, increased electrical capacity, efficient heating and cooling as well as new finishings throughout the building. The new construction includes a large practice arena, coaches’ offices, restrooms, a bookstore, a ballroom, and a multi-use space for student gatherings, lectures and special events. The Student Services Center was completed in 2011.